One of my favorite experts on de-cluttering is Gail Blanke, founder of Throw Out Fifty Things. She calls the chronic buildup of everything -- stuff, papers, old shoes, outdated ideas about yourself -- "life plaque." And when it builds up, it chokes off life and flow and creates a breeding ground for stress. Why? Because piles of whatever is sucking up energy and attention in your home or workspace. And they start to control you with a toxic combo of fear and indecision. Nothing causes stress like lingering in the limbo of indecision! So start today by making a few decisions: Whether to keep this or give it away. File it or shred it. Set a timer. You can start with a drawer, a closet, or one area of your home that seems to be a clutter magnet -- but set a timer. Start with 10 minutes and if momentum keeps you going, great! Sort it and move it. Create three piles -- keep, trash, and donate -- and put all the stuff you come across during your de-cluttering blitz goes into one of those categories. Get the trash and donate items off the premises within 24 hours. If you come across some items you want to sell on eBay or Craigslist, post the ads within a day. Do a clean sweep. Take everything off your desk. Printouts, piles, mail, sticky notes, knickknacks. Wipe down the surfaces, and put back only the things you actually use (and the few objects you love). Unsubscribe. Opt out of email newsletters and printed catalogs that you never look at and don't need. Try catalogchoice.org, a service that helps you stop unwanted mail. Set up filters in your email account so that you don't have to slog through all of it every day. Want to make an even more dramatic change? Take our 28-day challenge to address your stress. You'll get a free assessment that helps you identify the root causes of your stress and have 28 days of unlimited access to your customized action plan to help you tackle them. Find out more about our 28-day challenge and share it with your friends! Jan Bruce is CEO and co-founder of meQuilibrium, www.mequilibrium.com, the new digital coaching system for stress, which helps both individuals and corporations achieve measurable results in stress management and wellness. 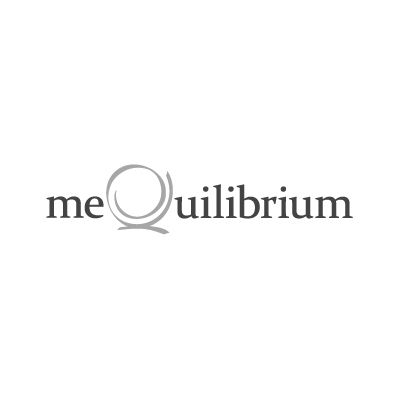 For more by meQuilibrium, click here.